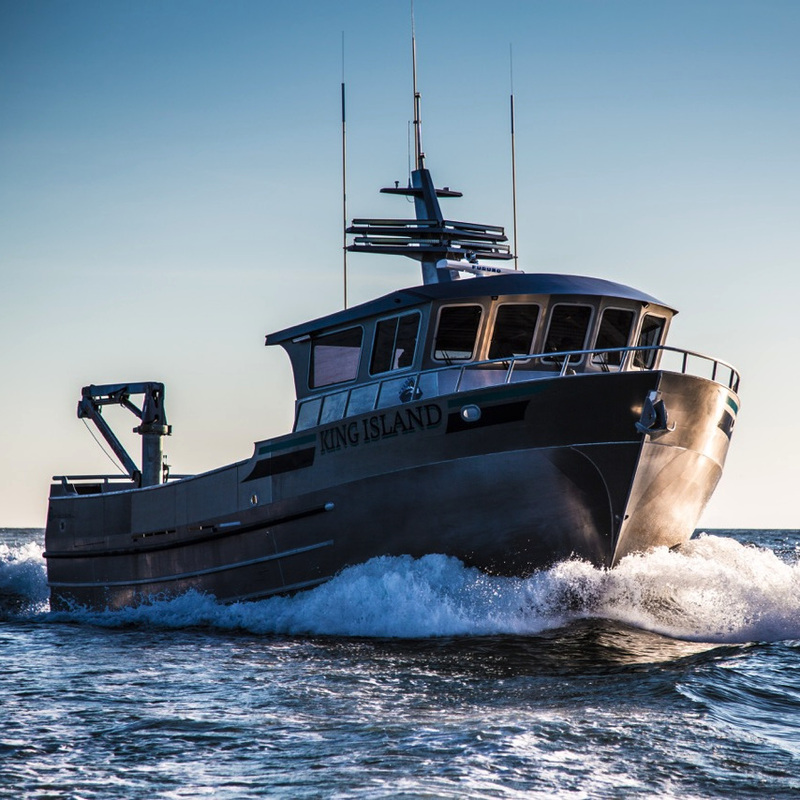 The F/V King Island, built by Bay Welding, has an 18 ton RSW system on board. Self-contained refrigerated seawater units from IMS are extremely compact and easy to install. These RSW systems are completely assembled, charged with refrigerant, tested at our Seattle manufacturing facility and shipped ready to install. Sometimes the best solution is multiple RSW systems. Systems can be housed within shrouds, used on deck and removed at the end of a season. The variations are as endless as the characteristics and needs of the vessels and processing plants that use them. IMS condensing units are complete and ready for hook-up to a remote mounted chiller – providing a narrow, compact system that is available with either electric, hydraulic or diesel drive power options. Installation is straightforward and economical. Our system includes the chiller, chiller brackets, bulkhead penetration and remote control package.